Gastric Bypass Surgery | Can It Work For You? What Does it Cost? The gastric bypass procedure is a type of bariatric or weight loss surgery designed to reduce your food intake if you have tried and failed to lose weight through diet and exercise. Gastric bypass can greatly improve the quality of life not only because of an improvement in appearance and an increase in mobility, but also because it can reduce the number and severity of health problems that overweight people are prone to suffer, such as diabetes and heart/circulation problems. Increasingly, gastric bypass insurance offers coverage from both public and private insurers. The Roux-en-Y bypass is more common and considered less complicated than the biliopancreatic diversion bypass, since Roux-en-Y does not remove portions of the stomach. The traditional Roux-en-Y-gastric bypass is performed through open surgery with one long incision. The Roux-en-Y gastric bypass can also be performed laparoscopically. The laparoscopic Roux-en-Y-gastric bypass uses multiple smaller incisions (instead of one long incision) — a laparoscopic tool is inserted, which offers a visual guide to the inside of the abdomen during the procedure. The laparoscopic Roux-en-Y produces less scarring and lets you recover faster than the traditional Roux-en-Y-gastric bypass. But the laparoscopic approach is still new, so long-term results have not been fully evaluated. The biliopancreatic diversion bypass is performed through open surgery with one long incision, leaving a permanent scar. It is less common and more complicated than the Roux-en-Y-gastric bypass. In the biliopancreatic diversion, portions of the stomach are removed and the bypass is attached to the distal illium. This procedure is not widely used, because there is more risk of nutritional deficiencies. In both techniques, a small stomach pouch is created to curb food intake, by stapling a portion of the stomach. Then, a Y-shaped part of the small intestine is attached to the stomach pouch so that food can bypass the duodenum, as the bypass extends to the initial portion of the jejunum. 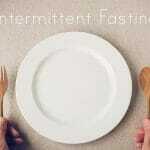 The bypasses of the small intestine are formed to decrease the absorption of food nutrients. These techniques significantly restrict food intake and reduce hunger to promote healthy weight loss. Most of the weight loss is evident within one year and is usually completed by the end of the second year. After surgery, many patients spend two to three days in the hospital, or one to two days for the laparoscopic procedure. On average, most people require two to five weeks of recovery before returning to normal activities. For a number of days your abdomen will be swollen and sore, and you’ll likely feel discomfort. Your doctor can prescribe medications to help you manage the discomfort. All the techniques leave a permanent scar, but normally scarring is covered by clothing. Aftercare treatments typically include a dietary plan, regular exercise, behavioral-modification therapy, and vitamin supplements. 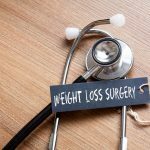 Your weight loss surgeon or plastic surgeon might require the use of a dietician, an exercise program, and possibly a psychologist for an extended period of time to assist you in your gastric bypass recovery. Plastic surgery after massive weight loss may be necessary to remove excess skin and fat and create a more shapely body profile. Panniculectomy and body lift are common post-bariatric procedures. Gastric bypass surgery entails both short- and long-term risks. Immediate risks include anesthesia complications, infection, bowel obstruction and leakage from the staple or suture lines. Long-term risks include nutritional deficiencies, weight regain, gastroesophageal reflux disease (GERD) and psychological problems. For more information, please visit our page on gastric bypass risks. In addition, new procedures, such as gastric plication, are routinely being researched and developed.